The HOOK2 is the much needed reboot of the older Elite and Hook series of fish finders. The units have been completely redesigned with ease of use and competitive prices being the main selling points. The sizes range from 4 and 5 inch all the way up to the big and bold HOOK2 12 inch. 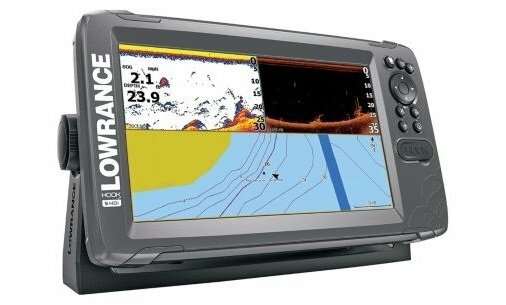 In this Lowrance HOOK2 review, we’ll dissect all the new features so you can decide if it’s the right unit for you. You won’t get all the high-end performance and features of the HDS Carbon or even the Elite-Ti, but for the price, the HOOK2 is a worthy unit to check out in more detail. 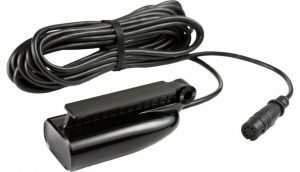 Affordable Large Screen Fish Finders – The HOOK2 12 and 9 are the lowest priced 12 inch and 9 inch fish finders on the market at the moment. They don’t have the bells and whistles of say, the ECHOMAP Plus 93sv, or the HELIX MEGA. 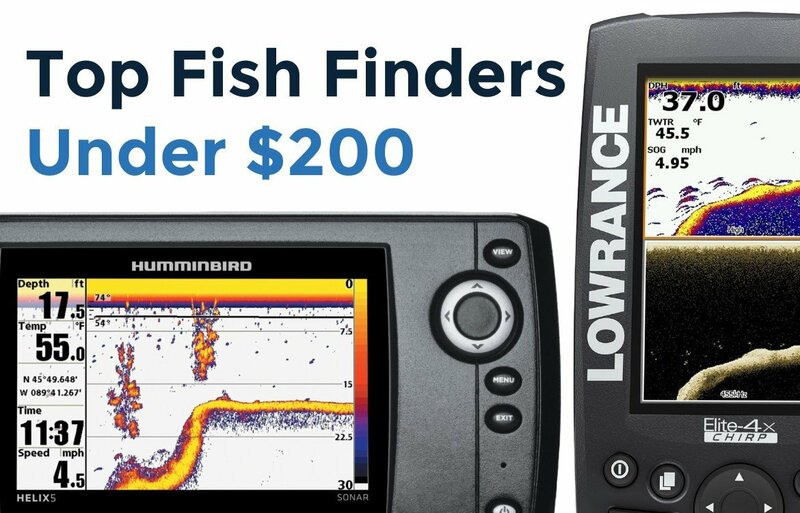 But for an otherwise highly functional fish finder the price is great for the larger sizes. Great Pricing on Smaller Units – The HOOK2 5 and 7 also follow with the low pricing, coming in a few hundred bucks lower than the comparable HELIX 7 SI G2N, or ECHOMAP Plus 73sv, although those units have more capabilities like networking and touchscreens. Even so, the HOOK2 pricing is hard to ignore. New TripleShot Transducer – This new 3-in-1 skimmer transducer does it all, from 200kHz High CHIRP, to DownScan and SideScan imaging. It comes with metal mounting hardware but does not come with trolling motor adapters, so it’s best suited for the transom unless you want to buy an expensive 3rd party accessory mount. New SplitShot Transducer – The new 2-in-1 transducer has DownScan and High CHIRP. It looks very similar to prior Elite and Hook transducers, but now it has a molded-in rib that allows it to mount against a trolling motor housing. Simple Setup & Operation – The HOOK2 have been designed with ease of use in mind. Form the simple setup and install, to simple operation with auto-tuning sonar. 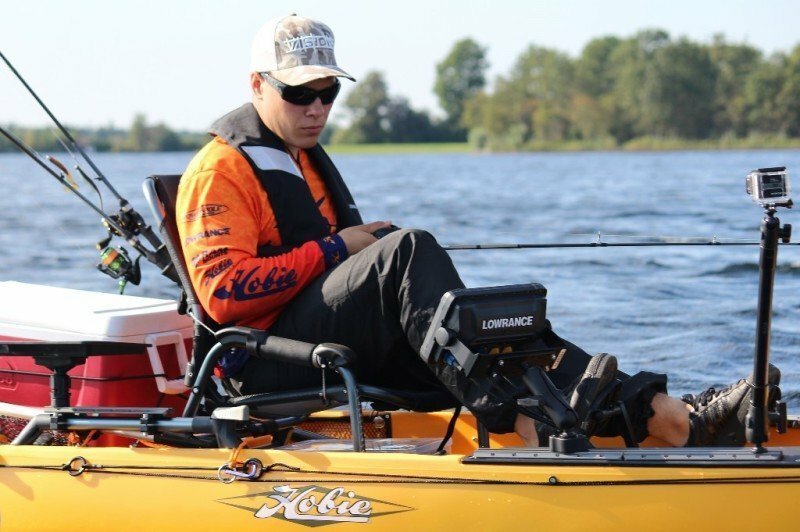 Lowrance has designed a simple, but convenient keypad with 1 click access to the most common settings. There are even more HOOK2 models that have an “X” in the name, like HOOK2 7X for example. The X means it has no contour mapping, only GPS plotting. For that reason, we are choosing to leave those models out of the review. The HOOK2 series are low cost/high feature fish finders, meaning most extra items have been stripped out to keep the overall unit price low. You’ll get the head display, transducer, cables, and basic hardware needed to mount the unit and get you running. Neither a sun cover or in-dash mount is included, these accessories are sold separately. The HOOK2 TripleShot is a 3-in-1 fish finder, with CHIRP sonar, DownScan, and SideScan. This is a totally revamped version of the HOOK series that wasn’t all that appealing. The series comes in 5 sizes, ranging from the budget friendly 5 and 7 inch, to the big screen 9 and 12. 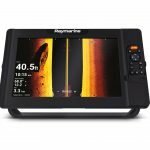 The 12 inch is very interesting, as no manufacturer has really offered up a cheap 12 inch fish finder before. The MSRP on the HOOK2 TripleShot are very competitive, usually lower than any of the competitions, but there are a few reasons behind it. 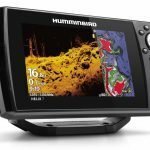 Mostly, the HOOK2 fish finders do not have some of the more advanced functions like networking, live mapping, and touchscreens. That doesn’t mean they are bad units, just offering fishermen something different at good prices. Have a look at some of the main differences compared to other models. 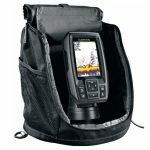 HOOK2 9 TripleShot vs ECHOMAP Plus 93sv – The 93sv has a touchscreen, 10,000 (vs 3,000) pre-loaded contour maps, and QuickDraw live mapping. HOOK2 9 TripleShot vs HELIX 9 CHIRP MEGA SI G2N – The HELIX 9 MEGA has MEGA Imaging, the clearest imaging on the market, plus 2 SD card slots and AutoChart Live. 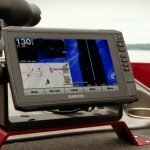 HOOK2 7 TripleShot vs ECHOMAP Plus 73sv – The 73sv has a touchscreen, 10,000 LakeVu maps, and QuickDraw. HOOK2 7 TripleShot vs HELIX 7 CHIRP SI GPS G2N – The HELIX 7 has networking capabilities and AutoChart Live mapping. Each Hook2 display is the new SolarMAX, which is more easily viewable in direct sunlight than ever before. The pixel counts are pretty standard at 1280×800 on the 12 inch and 800×480 for everything else. For a higher screen resolution, you can move up to the HDS Carbon series that has the SolarMAX HD panels with a higher pixel density. The HOOK2 has all new transducers, the first being the fittingly named “TripleShot Transducer”. It is a long and narrow plastic skimmer transducer with a metal bracket. It has an open top housing that presumably keeps the cost to produce it low. 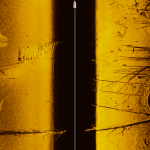 In any case, it has all three sonar features you need to scan structure and then locate fish on that structure. 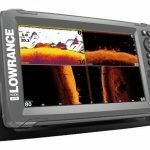 Lowrance DownScan continues to produce some of the best sonar imaging of structure and clearest shots of bass on the market. HOOK2 TripleShot fish finders have an internal GPS and 3,000 pre-loaded lake maps with 1ft contour lines. Even though it’s less than the 10,000 maps found on Garmin units, this is still a nice feature to include out of the box. 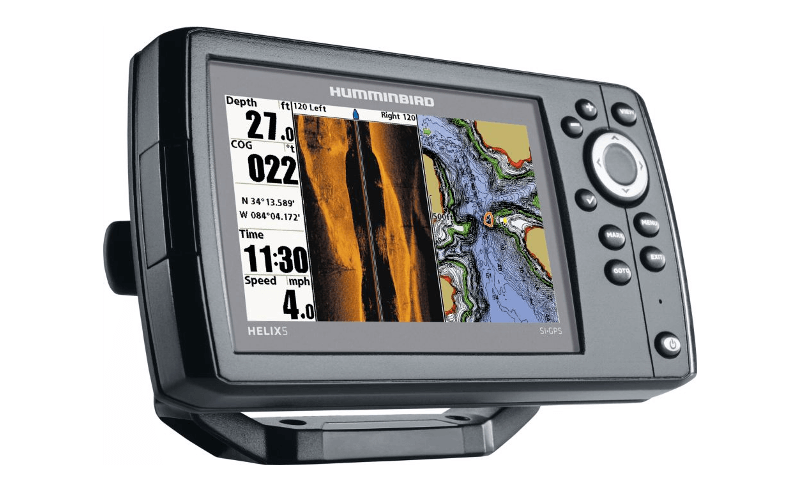 The HOOK2 are capable of displaying Navionics, C-MAP Insight, and C-MAP Genesis maps using the MicroSD card slot located below the keypad. Remember that if the HOOK2 model has an X in the name, that it is only a GPS plotter, and doesn’t display contours. 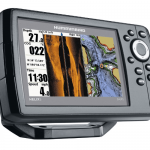 C-MAP Insight is a regional map card that is similar to Navionics and Lakemaster for Humminbird. In the video below you can see how much more detail is on the C-MAP cards compared to Navionics. C-MAP Genesis is the same service that was previously known as Insight Genesis. You can create your own maps by saving Sonar Logs onto your HOOK2 internal memory. Then you save those logs onto a blank MicroSD card. Then you can upload those files to C-MAP Genesis Premium and generate contour maps, as well as vegetation and bottom composition maps. Then all you do is download the map to your MicroSD and use it in your HOOK2 unit. It does require a yearly membership to unlock these features. 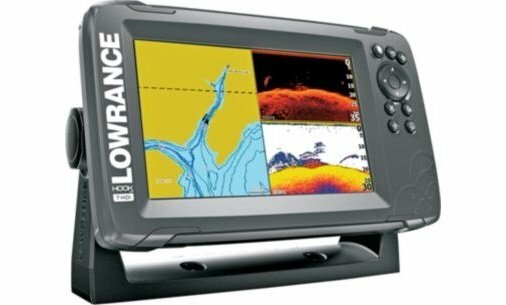 The HOOK2 SplitShot is a 2-in-1 fish finder, with High CHIRP, and Lowrance’s industry leading DownScan. The SplitShot series comes in only 5, 7, and 9 inch sizes, ranging from a compact 5 and 7 inch (great for kayak fishing), to a widescreen 9 inch. The 9 inch is priced nicely, although for a few hundred more you could get MEGA Down Imaging on the HELIX 9 CHIRP MEGA DI (and built-in AutoChart Live). The pricing on the HOOK2 SplitShot are very attractive when comparing then to Garmin and Humminbird. This is because, like on the TripleShot, the fish finders are lacking some of the more advanced capabilities anglers expect such as live mapping and linking with other units. Again, that doesn’t make them bad units, just a lower priced unit that still has great sonar. One advantage is the bright SolarMAX display, making daylight viewing easier than ever. The pixel count for each SplitShot is the standard 800×480. The SplitShot skimmer transducer looks identical to previous generations of DownScan units but has a T-shaped rib running along the top. 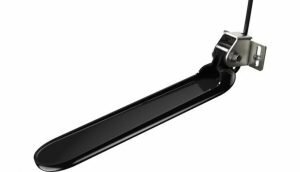 This allows you to mount the transducer to a trolling motor without any additional brackets to buy. One nice feature on all the HOOK2 is the auto-tuning sonar. It doesn’t make you sing better, but it does promise to optimize your sensitivity and contrast automatically, taking some of the guesswork out of clearing up your imaging pictures. Should you Buy a HOOK2 TripleShot or SplitShot? HOOK2 offers affordable SideScan and DownScan imaging in both big and small screen sizes. The HOOK2 12 TripleShot is the only budget minded 12 inch unit available today. TripleShot 3-in-1 transducer has everything built in, no extra modules required. Just plug and play. Auto-tuning sonar settings make getting clear sonar easy. This is a great feature for technology newbies. The SolarMAX displays are bright, and easily viewed on the water in the glaring sunlight, and with polarized sunglasses. The HOOK2 has easily customizable views for your homepage, as well as one button click access to the most common settings. No networking or touchscreens, but that’s not the point of the HOOK2 series. You’ll have to move up to an Elite-Ti or an HDS Carbon to gain touchscreen and networking. Only one MicroSD card slot. That means if you like saving screenshots or Sonar logs, you’ll be doing a lot of swapping to get them out of the unit. MicroSD slots are notorious for being difficult to remove and insert. 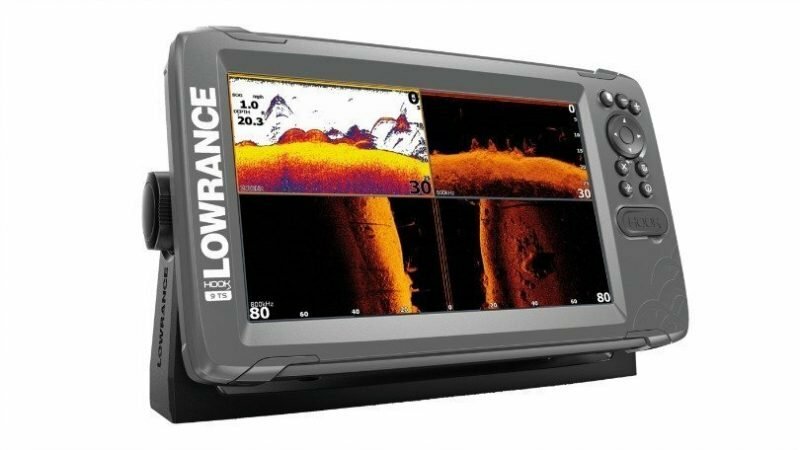 Bottom Line – With the great range in sizes and competitive prices, plus the clear DownScan imaging Lowrance is known for, it’s clear to us that the HOOK2 should be a very popular series for Lowrance. The HOOK2 12 and 9 TripleShot especially seem to strike a sweet spot in size and price. The 5 and 7 SplitShot make for great small boat and kayak electronics. Will a triple shot transducer wrk on a unit that came with a split shot transducer? Same 8pin connector on both transducers, so…maybe. 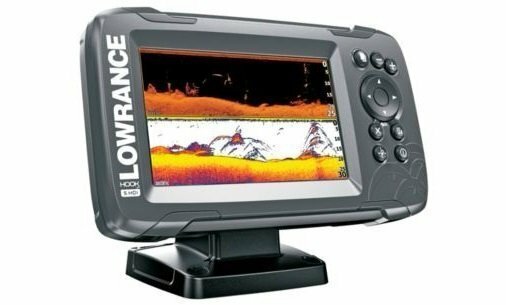 Confirm for sure with Lowrance.